Try your hand at deciphering some logging slang from this March 24, 1949 edition of the Comox District Free Press. Rental of the Dogwood or Rotary Galleries is on a first come/first served basis. For more information on rental fees and requirements please give us a call at 250-334-0686 ext 5. 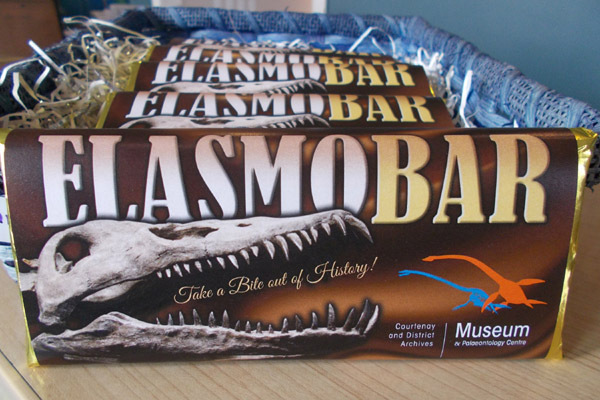 If you are planning to give chocolate this Easter and want a change from the traditional egg or rabbit, you might consider a delicious Elasmo Chocolate Bar made by Hot Chocolates. Only available here at the museum, it’s a great deal for $4 and very unique! The gift shop is also carrying a new book written by local author Tim Haley called Her Vision Quest. This hardcover book retails for $22 and would make a wonderful gift. When a hike in the woods goes horribly wrong, young Shirley is forced to think on her feet and grow up quickly. While saving her father from a terrible fall, she notices an unusual cave in the distance. She soon finds that she is unable to shake the vision of it in her mind and embarks on a long journey of discovery. Aided by a mystical friend, she stumbles on more than she bargained for in the darkness of the strange cavern. This is a story of adventure, friendship, and self-discovery firmly rooted in the culture, dramatic landscape, and magic of northern Vancouver Island. Tim Haley is a gold smith, sculptor, painter, and musician. He grew up in Colorado, where he learned to love the outdoors and worked at a small cattle ranges. After studying art in Boston, he moved his family to Black Creek where they homesteaded and built a house in the bush. Tim currently operates a jewellery store, art gallery, and jewellery academy in Courtenay where he lives with his partner and youngest daughter. We hope you can join us for the Courtenay and District Museum’s annual Spring Fling event on Saturday, March 19, 11:00-2:00– three hours packed with family fun. Meet lambs, kids (baby goats), pigs, ducks, geese, bunnies and chickens–all cared for and watched over by the Shamrock Gumboots 4-H Club. The Hot Chocolates Easter rabbit will visit between 12:00 and 1:00 and will be handing out delicious Easter chocolate. The Elasmosaur mascot will appear for fun photo opportunities. To wrap it all up, popular artist, Gillian Legendre, from Detailed Face Painting will create wonderful face painting designs for a small fee. Don’t forget to bring along your craft skills to make a fun Easter mask. 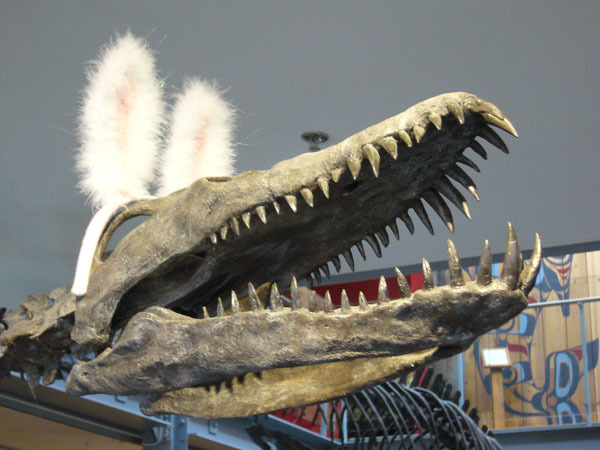 Games include a Dinosaur Egg Hunt with a twist, a “Guess How Many Treats” contest and Easter-themed door prizes. Admission is by donation and half the proceeds go to the Shamrock Gumboots 4-H Club. Please join us!